Say hello to Frameskin Wrap, and goodbye to that moist and manky neoprene chainstay protector that lets the grit get behind it and work like sandpaper on your frame. Goodbye also to the dodgy old tube held on with zip ties. 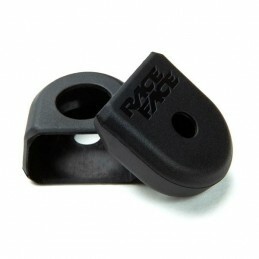 Frameskin Wrap is the answer for chainstay protection and cutting down on chain chatter. It looks pro, and works pro. Frameskin Wrap is a self-fusing rubber tape that bonds to itself forming a solid rubber protection for your driveside stays. Frameskin Wrap is super nifty gear. It installs in a snap — needing no zip ties or adhesive. You simply stretch and overlap the tape around the frame and it bonds to itself, forming one solid protective piece. Job done! 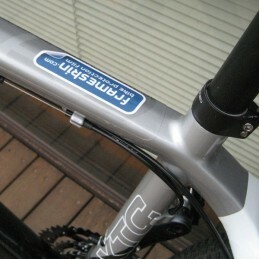 It won't leave any sticky muck on your frame when you remove it either, because there isn't any. 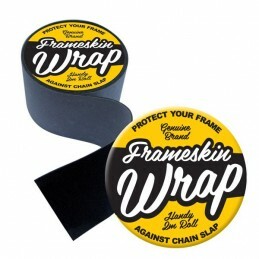 Combine Frameskin Wrap with Frameskin frame protection film and you will have the ultimate level of protection for your bike.